What is forensic hypnosis investigation? Forensic hypnosis investigation is the technique of refreshing people's memories, allowing them in many instances to recall details about an event that they were having trouble remembering. Some people refer to a forensic hypnosis session as a cognitive interview. Who uses forensic hypnosis investigation? Any person, agency or oganization that needs to uncover details or information from witnesses, victims or defendants who are having difficulty recalling information. Does forensic hypnosis investigation work? The Texas Department of Public Safety (which includes the State Police, Highway Patrol and the Texas Rangers) surveyed the results of 1,341 forensic hypnosis investigative interviews which they had conducted during a 12 year period. Additional information was obtained in 992 (73.97%) of those interviews, assisting their investigations. The short answer is, "Yes." 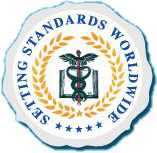 is one of the most widely known and respected professional and educational organizations in the world. It is affilated with the British Association of Therapeutical Hypnotists, The Professional Board of Hypnotherapy, Inc., The Australian Hypnotherapy Association, The Spanish Hypnotherapy Association, The American Board of Hypnotherapy, and The UK Psychological Society. is the largest, oldest and most influential organization of hypnotists in the world. Founded in 1951, the NGH currently has over 10,000 members in 72 countries.